Think pink! If you’re looking for a great summertime cocktail to help you cool off from the heat of the day…look no further. 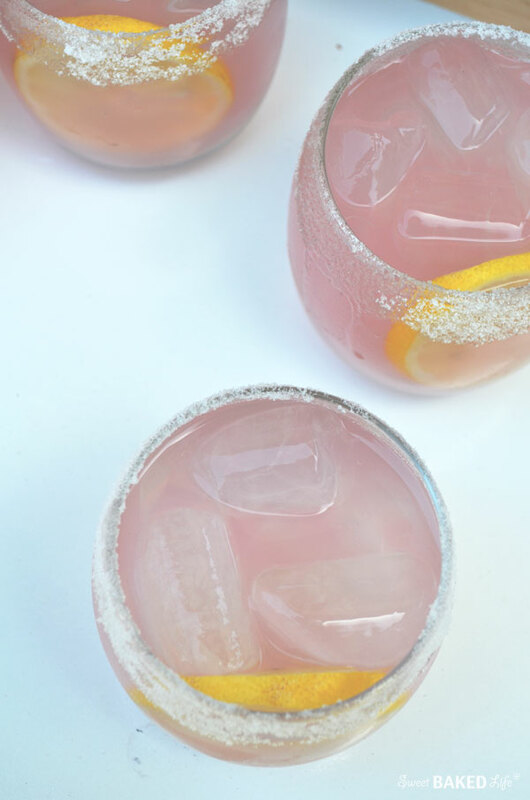 This pretty Pink Lemonade Margarita will have you puckering up for more! Whether you are having a get-together with friends or a party of one, this margarita will make your taste buds tingle with pure happiness! As well, it will turn your bad mood into a good one, or a celebration into a party! And for me, enjoying a refreshing cocktail at the end of a long, stressful week is the way to go. You see, last week was one of those weeks. I was involved with preparing the areas I manage for next year with intensively, brain-boggling budgeting at work, along with juggling all my other responsibilities. This time of year is the most stressful for me as a lot has to be done in a short time. I had to keep my forward-thinking hat on and dig in deep to solidify a well thought out plan. The good thing is that, since I went through this process last year, and kept impeccable records of what I had done, it turned out to be less difficult than what I had remembered. I guess that comes with experience. Thank goodness!! Also during this week, my husband was dealing with a sensitively awkward situation on his project and we were both missing our teen son who was away on his last vacation before school started. We originally had grandiose plans while we were kid-less, but because of our hectic schedules and long hours, we really didn’t feel like going out — the evenings turned out to be quietly relaxing — spending a little quality alone time together. That’s all you can really ask for when you are having a crazy week! So, bring on the ritas! 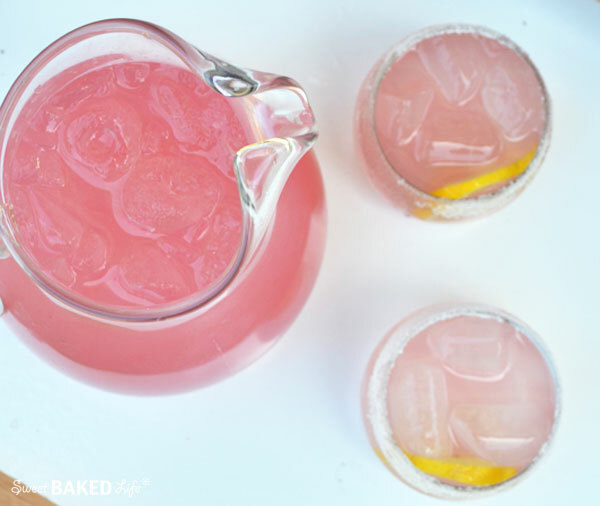 This refreshing drink starts with your favorite pink lemonade concentrate, doused with silver tequila, triple sec and garnished with some fresh lemon slices and you’re set. Just one sip will make you want to set up your own adult lemonade stand so you can share the pure deliciousness with your friends! In a cocktail shaker filled with ice, add all ingredients. Shake vigorously. Pour into sugar rimmed glass and garnish with lemon slice. In a large picture add the pink lemonade, water, tequila and triple sec. Stir well and refrigerate until ready to use. Rim each glass with lemon, then dip in a small plate of sugar to coat. Fill glasses with ice then pour chilled margarita and garnish with a lemon slice. And good news for me…the budgeting is complete, the project turned out perfect, and our son got home late Monday night and is ready to start 8th grade today! Yeah, now it’s time to celebrate happy times! 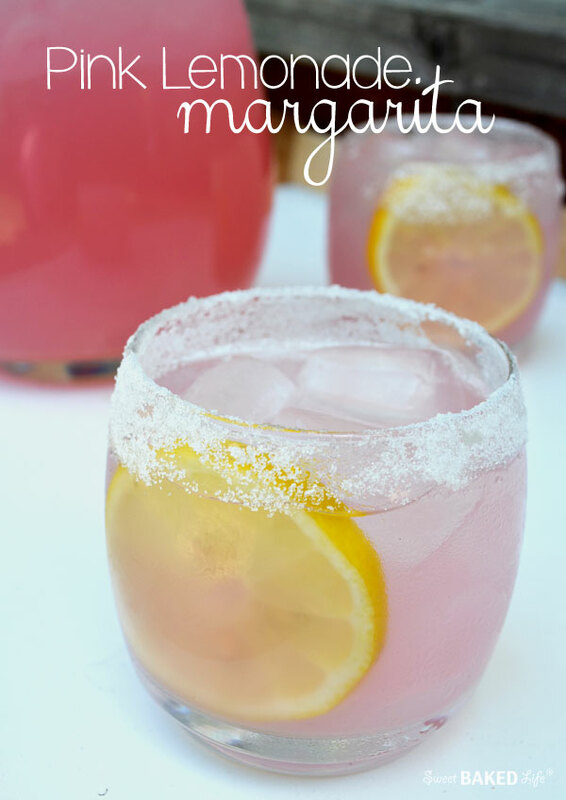 This delightful Pink Lemonade Margarita is great to drink in the sun or shade, and always better shared with friends. So break out your stand and let the crowds be pleased! You know about always having the “right” words to describe things you love!